Diane has worked for the practice for 10 years now. 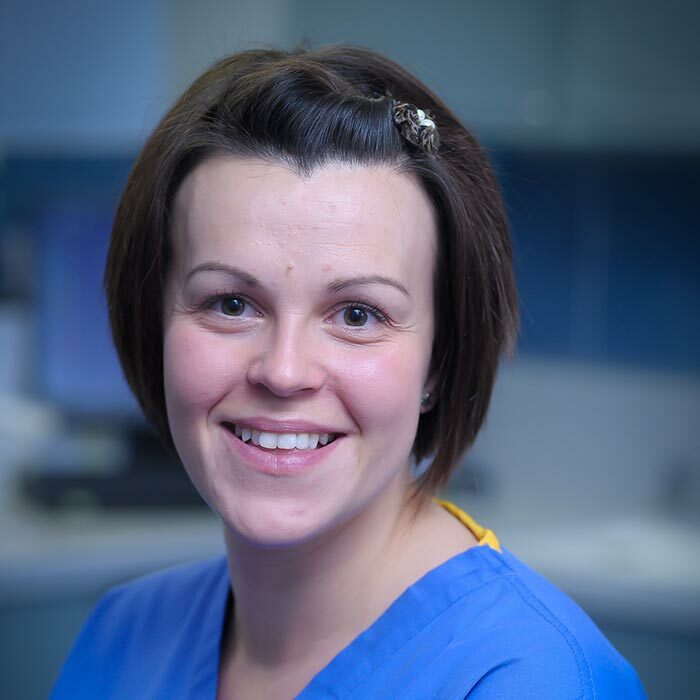 She qualified as a dental nurse in 2006 and has another two years’ experience at another practice. She is also radiography-trained and qualified for this in 2008. Diane splits her time between working with the hygienist Angela two days a week, one day with dentist Jasmin and the other doing decon and x-rays along with ordering all the stock for the practice. This gives Diane a varied week and continued experience in all areas. Diane got married in 2007 and has two children. Her spare time is spent doing activities with the children and her husband. They enjoy walking at the weekends.